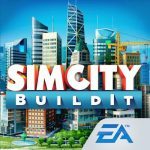 SimCity BuildIt by Electronic Arts is definitely less intense and more stripped down than the PC games you probably know and love from the venerable franchise. 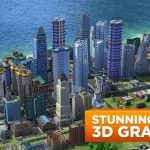 SimCity Buildit is a free to play game, which is available for Android and iOS mobile devices. Still, one can’t deny that there are times when it may be a smart idea to spend some money on in-app purchases to enhance the gaming experience. But how can you play this game, be the best mayor you can be, and do so without parting from your hard-earned money? 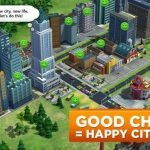 We’ve come up with a new SimCity BuildIt strategy guide for you – to help you succeed in the game without having to spend any real cash. A rather obvious tactic would be to have generous supplies of each item. But that’s going to wear you out in the end, so it would be smarter to simply know what exactly you want in your city, and play the game with that in mind. For instance, you may have a group of houses where the people want a certain item, and another group where another material is sought-after – focus on building up your reserves of those materials. 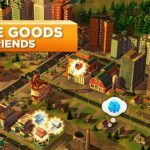 The global trade headquarters will let you interact with other players, and sell whatever surplus materials you have. You can post ads for certain items every few minutes or so, which would allow other players to view those ads when they log into the game and check their HQ. And when it comes to setting prices, the sky’s the limit – try selling an item at the highest price possible, as there’s a chance somebody will bite and buy it for that price. Sure, you can pay SimCash to speed up SimCity BuildIt’s timers, but why would you want to do that in the first place? It’s better to wait it out and save your real money – remember that there are many free-to-play or freemium titles that dangle a carrot in the form of long wait times, and the chance to pay to expedite that. Nobody likes waiting, but if you have to spend to shorten that wait, don’t do it. When we say that, we mean placing public buildings in such a way that they affect as many residences as possible. These buildings can cost you a premium amount of money, so it is very important to make your investment count and make sure that the buildings affect a wide range of people. You can rearrange them anyway as the game progresses, especially when you get to unlock the police station and other special structures. We did mention taxes in another SimCity BuildIt strategy guide, and when it comes to earning in-game money, it’s a good idea to login every day so you can collect taxes and restart the timer. But you wouldn’t want to overtax your population – happier citizens are willing to pay higher taxes, but taxing them too much in relation to their happiness will only make things worse for their morale.